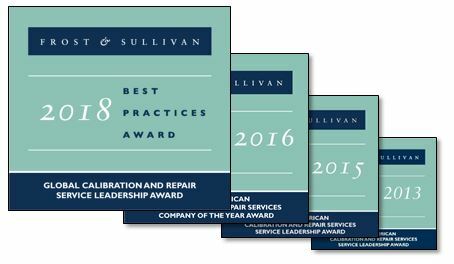 Frost & Sullivan, a leading independent research firm, has awarded SIMCO the 2018 Global Calibration and Repair Service Leadership Award. Get the full Frost & Sullivan Service Leadership Award report. SIMCO was also awarded the Frost & Sullivan 2016 Company of the Year Award for North American Calibration and Repair Services as well as the Frost & Sullivan North American Calibration and Repair Services Service Leadership Awards for 2013 and 2015 (biennial awards). CIOReview magazine provides this annual listing of the best vendors who provide exceptional solutions that help organizations meet customer and regulatory requirements and improve effectiveness and efficiency. SIMCO’s CERDAAC Service Manager is advanced cloud-based software that provides advanced asset and service workflow management and visibility into service status, quality compliance, key performance metrics, and more. As part of the 2018 Biotechnology Awards, Global Health & Pharma (GHP) has selected SIMCO’s CERDAAC as the Best Quality Execution Software 2018. In the award publication, GHP states “CERDAAC Service Manager is advanced cloud software which provides complete asset and service workflow management and helps customers comply with FDA and other regulations." "The clear service leader in the global calibration and repair services market"